In this recording, taken from the Audio Archives of Naropa University, the Vidyadhara reads few of his poems, accompanied by David Rome. Each poem is introduced by him. 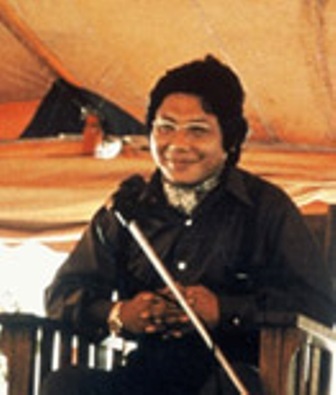 The reading includes poetry written in English, as well as his poetry written in Tibetan and translated into English by Trungpa Rinpoche “with British and American friends”, as he tells his audience.